Ranger Design has a complete line of Mercedes Metris van shelving, accessories, ladder racks and the all new composite van partitions available for upfitting. Try out our new 3D Configurator, which allows you to build your Metris upfit using real-time 3D technology. Please review the minimum system requirements for your computer to ensure that you have an excellent experience (please note: this will not work on smart phones or tablets other than an iPad). Build your Upfit Now – Try the 3D Configurator! Categorized as a mid-size van, it’s ideal for the tradesman who’s looking for the economy and versatility of a smaller cargo van, while still having a class leading payload capacity. Regardless of trade, there’s a Ranger Design upfit package available for the Metris that will help any tradesman become more organized and efficient. Maximize your Mercedes Metris storage space by upfitting with Ranger Design Packages! Ranger Design’s very adaptable cargo van shelving and bins suit every trade and every need! For many mobile tradesmen and technicians, a ladder is one of their most important pieces of equipment. Ranger Design has a Mercedes Metris ladder rack to suit every need. Choose from the different models that range from cargo racks with huge carrying capacities, to combination ladder racks that let you carry both a step and an extension ladder. Built tough with military grade aluminum and using an aerodynamic design to reduce wind noise, these ladder racks are backed by an industry leading warranty that covers years of service. For increased cabin comfort and safety, Ranger Design offers several models of Metris van partitions. These bulkhead partitions are designed to provide a strong, secure barrier between the van occupants and the cargo. They are engineered to be rattle free and improve cabin comfort by providing better climate control, while reducing noise and allowing full seat travel. Personalizing your new Metris will help you work more efficiently and stay organized. Ranger Design has a full line of van accessories that allow you to choose the details that are important to you and make a difference. Customizing your Mercedes Metris will let you find what you want more quickly, when you want it most. By eliminating annoying rattles, Ranger Design has developed commercial van equipment that is quiet. This commitment to designing products that reduce noise, ensures that the vehicle’s ride is more comfortable and stress free. Ranger Design’s industry leading no hassle guarantee means that not only will your equipment be quiet when it’s new, but will remain so for years to come. 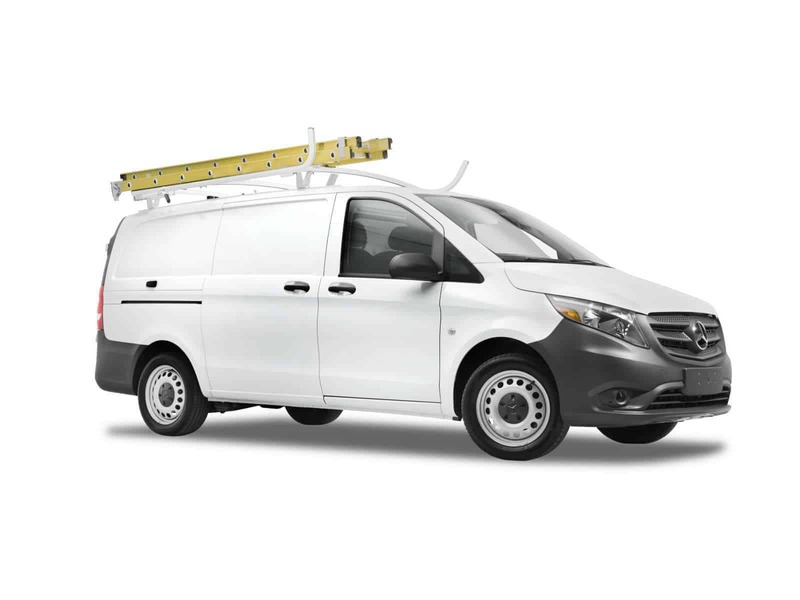 Mercedes Metris van shelving and accessories packages are now available on QuickShip. With industry leading turnarounds, all QuickShip packages ship the next business day if they are ordered by your distributor before 1:00 PM. Ranger Design Fleetline and Proline product groups ensure that fleets of any size have the best equipment to fit their budget, trade or fuel saving targets. Do you see a way that we can improve our packages? We appreciate your feedback! Please give us a call at (800) 565-5321, contact us, or get a quote today.